Rep. Ron Paul, R-Texas, a longtime advocate for plans to end the Federal Reserve's control of U.S. monetary policy, will assume the chairmanship of the Domestic Monetary Policy Subcommittee of the House Committee on Financial Services when the 112th Congress begins in January, WND has confirmed. Michael Steel, press secretary for Minority Leader John Boehner, R-Ohio, had told WND that Boehner had no intention of blocking Paul from being subcommittee chairman. Then today, Rep. Spencer Bachus, R-Alabama, the chairman-elect of the House Financial Committee, formally appointed Paul to head the monetary policy subcommittee. The Federal Reserve might have been feeling an earthquake right about that time. The decision to appoint Paul to the position ended days of speculation in which Paul supporters had worried that the Republican leadership in the House might seek to keep him from the position because of the congressman's openly expressed concerns about Federal Reserve management of U.S. monetary policy. 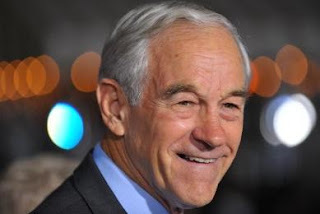 In September, Ron Paul authored a book titled "End the Fed," in which he argues the Federal Reserve should be abolished and the United States dollar should be returned to the gold standard. Paul had disclosed to WND in an exclusive interview what he plans to do once he becomes chairman of the subcommittee. "First and foremost, I want the subcommittee to actually begin talking about monetary policy," Paul said. "The Federal Reserve has insisted that Congress has no role in monetary policy. But that's not what the Constitution says." In Congress, Paul has been in the lead on this issue for years, sounding the alarm as federal budget deficits under President Obama have escalated in fiscal year 2010 to $1.3 trillion, while the national debt has mounted to nearly $14 trillion, a sum that nearly equals the nation's gross domestic product. "The Fed operates in secret," Paul said. "What the subcommittee needs is to act like a monetary policy committee. What we need is an honest debate in which the subcommittee can bring to the American public views the Fed may never consider." In announcing the subcommittee leadership appointments, Bachus said, "This is the leadership team that crafted the first comprehensive financial reform bill to put an end to the bailouts, wind down the taxpayer funding of Fannie Mae and Freddie Mac, and enforce a strong audit of the Federal Reserve." In addition to naming Ron Paul to chair the monetary policy subcommittee, Bachus announced the following leadership appointments. Rep. Randy Neugebauer, R-Texas, Chairman, Oversight and Investigations Subcommittee. "By working together, we will honor our commitment to aggressive oversight, reform of the GSEs [Government-Sponsored Enterprises, i.e. Freddie and Fannie], and monitoring the implementation of the Dodd-Frank Act to ensure more jobs aren't lost to unnecessary regulations on community banks and businesses," Bachus said. "We are ready to hit the ground running, and I look forward to continuing our work in the next Congress." Bachus announced that the first priority of the Financial Services Committee will be to end the taxpayer funded bailout of Fannie and Freddie. "This adjustment frees up more resources for the subcommittee chairmen and expands the jurisdictional mandate of the housing-related subcommittee to include insurance issues," he said. Long known for his outspoken criticism of the Federal Reserve and for his determination to return the U.S. dollar to some form of a gold standard, Paul, as chair of the House monetary subcommittee, will have a position of authority from which to hold a serious and robust public debate about decades of government monetary and fiscal policy. He has explained that Article 1, Section 8 of the Constitution assigns to Congress the right to coin money; the Federal Reserve Act of 1913 created the Federal Reserve. There is no mention of a U.S. central bank in the Constitution. It appears Paul also will have a chance to pursue another long-standing dream, to get a thorough public audit of the traditionally secretive Federal Reserve. "If the Fed does not respond to subcommittee requests for access to internal memos and other documentation of decision making, we have subpoena power," he noted. "Still, I plan to start by making requests, then we will see what happens." WND columnist Christopher Grey, CFO and co-founder of CapLinked, an online platform for connecting entrepreneurs and investors, said the "conventional thinking" that has guided U.S. monetary policy is "dead wrong." "Countries that promote free market capitalism have prospered throughout history and continue to prosper. The most recent success stories are in Russia, China, India and Brazil. Many of these countries used to be socialist and poor. Now they are getting richer and we in the United States are getting poorer because we are embracing socialism, both in fiscal and monetary policy, as these countries are embracing capitalism. We need to change course, stop quantitative easing, force the Fed to sell off assets on its balance sheet, and raise interest rates to a normalized level of at least 2 percent as soon as possible to avoid falling into the Japanese trap of 20 years of low growth and a declining standard of living," he said. WND has reported how Paul is concerned that even though the Federal Reserve "can enter into agreements with foreign central banks and foreign governments," the General Accounting Office "is prohibited from auditing or even seeing these agreements." "Why should a government-established agency, whose police force has federal law-enforcement powers, and whose notes have legal-tender status in this country, be allowed to enter into agreements with foreign powers and foreign banking institutions with no oversight? Particularly when hundreds of billions of dollars of currency swaps have been announced and implemented, the Fed's negotiations with the European Central Bank, the Bank of International Settlements, and other institutions should face increased scrutiny, most especially because of their significant effect on foreign policy," Paul has said. Fed chief Ben Bernanke has opposed suggestions that the Fed be audited, or be forced to relinquish any of its secrecy. "Throughout its nearly 100-year history, the Federal Reserve has presided over the near-complete destruction of the United States dollar," Paul has said. "Since 1913, the dollar has lost over 95 percent of its purchasing power, aided and abetted by the Federal Reserve's loose monetary policy." "Since its inception, the Federal Reserve has always operated in the shadows, without sufficient scrutiny or oversight of its operations," Paul said when the original plan to audit the Fed was introduced. "While the conventional excuse is that this is intended to reduce the Fed's susceptibility to political pressures, the reality is that the Fed acts as a foil for the government. Whenever you question the Fed about the strength of the dollar, they will refer you to the Treasury, and vice versa. The Federal Reserve has, on the one hand, many of the privileges of government agencies, while retaining benefits of private organizations, such as being insulated from Freedom of Information Act requests."